Looking for a quality bamboo pen with your logo? 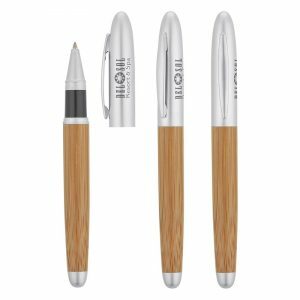 With a rollerball, this bamboo pen will become your favorite marketing tool. Eco-friendly, quality look and feel, your logo can be laser engraved on the cap. 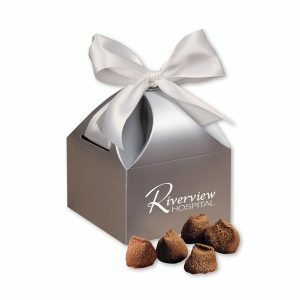 Great for businesses, law firms, law school graduation program gifts, banks and more. This pen features a cap-off style rollerball pen with a bamboo barrel, matte silver cap, clip and trim. 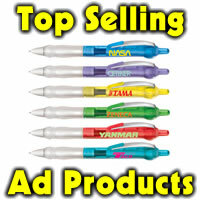 Your logo area is 1 1/2″ W x 5/16″ H and can be cap right or cap left for left handers. Minimum is 100 at 6.15 ea, 250 at 5.85 ea, 500 at 5.55 and 1000 or more at 5.15 ea. Set up is 56.25. Blank ink cartridge inside. Item number BA9150.